Step off the streets of west London and into the Wild West. 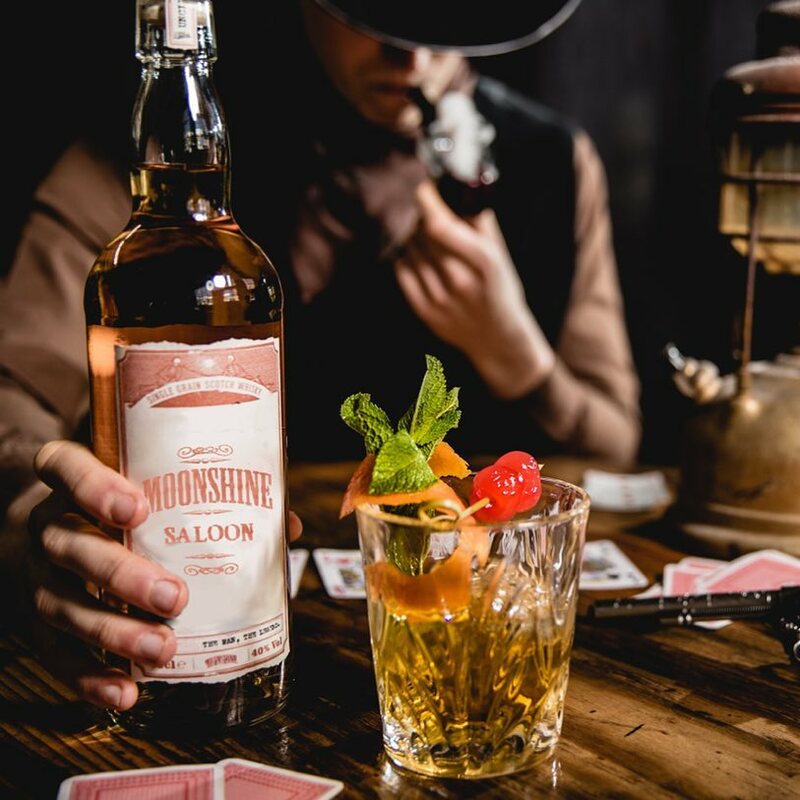 At the end of the Kings Road, next to Jak’s and the old haunt of Embargo’s, you’ll find the Moonshine Saloon. But it’s a different experience. 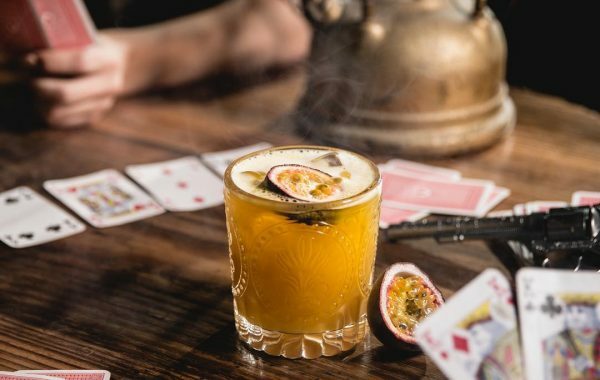 It’s immersive theatre with cocktails (how could this kind of entertainment ever be without?). This Wild West world is also BYOB, under the guise of bootlegging. 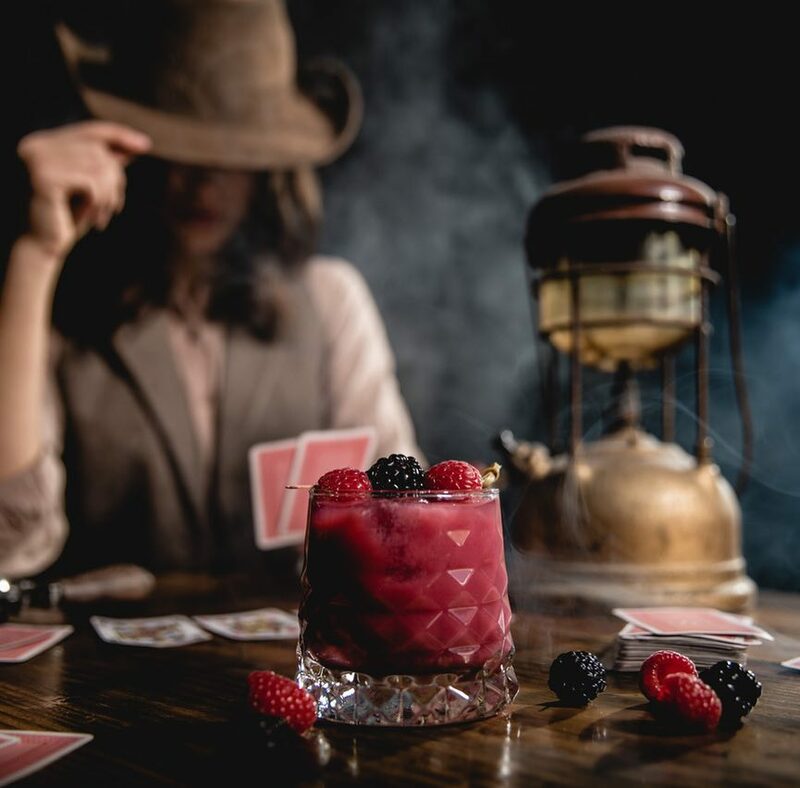 Sneak in your contraband liquor of choice, hiding it from the King of the Moonshiner’s wife downstairs who runs the joint, and have your class mixologist for the evening whip up impressive cocktails, from classic favourites to experimental concoctions. 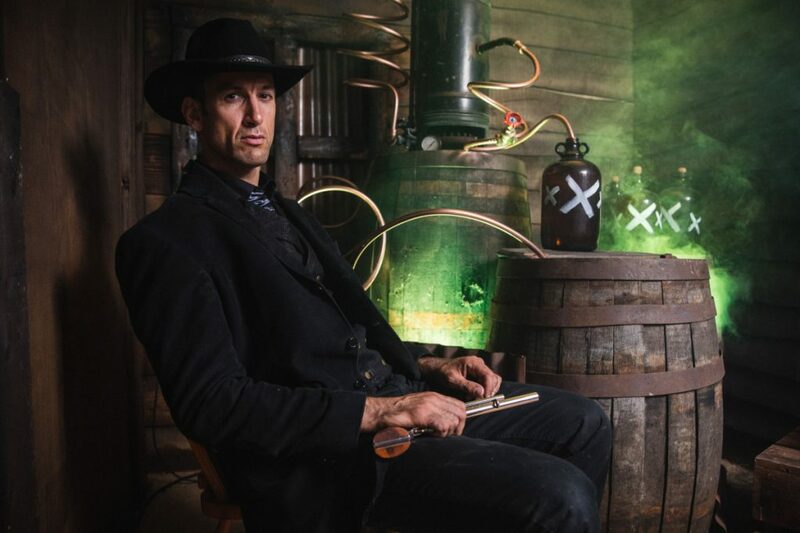 We snuck in a bottle of Bulleit Whisky, to get into the spirit of bootlegging and the rugged Wild West. First up was a mint julep, spot on for the opener on a warm summer’s evening. From here on out it’s up to you and your mixologist to create what you want out of your contraband bottle (or just let them do their good thing…). 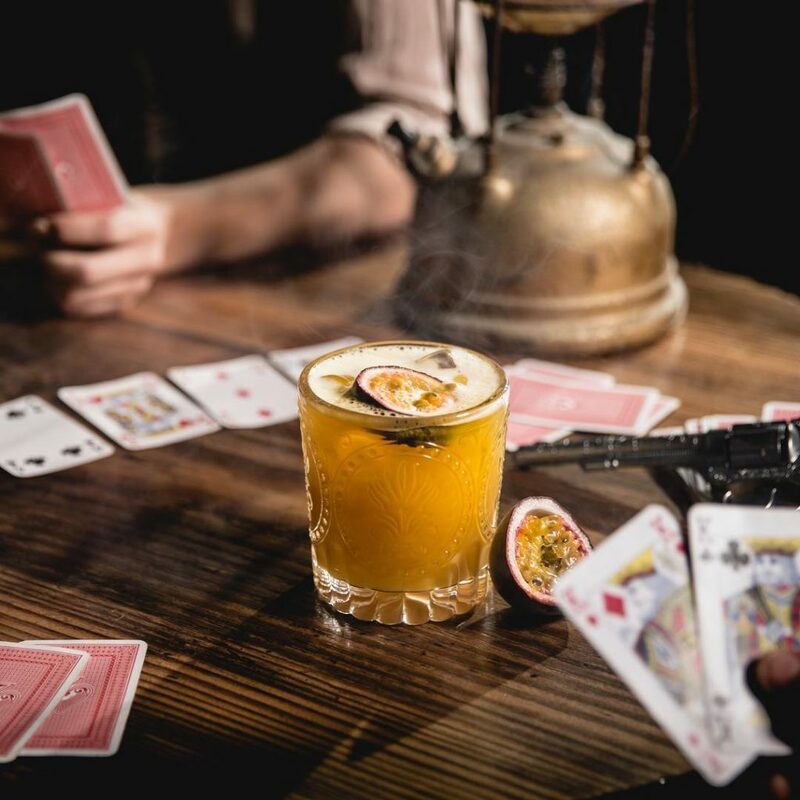 The saloon locals knock around, challenging you to card and dice games, and tell tales of the Wild West. Avoid the eye of the sheriff, is the main advice. The saloon doors swing this summer Thursday through Saturday until 25th August, so get on down as the small, intimate sessions with a handful of four tops means there are limited spaces. 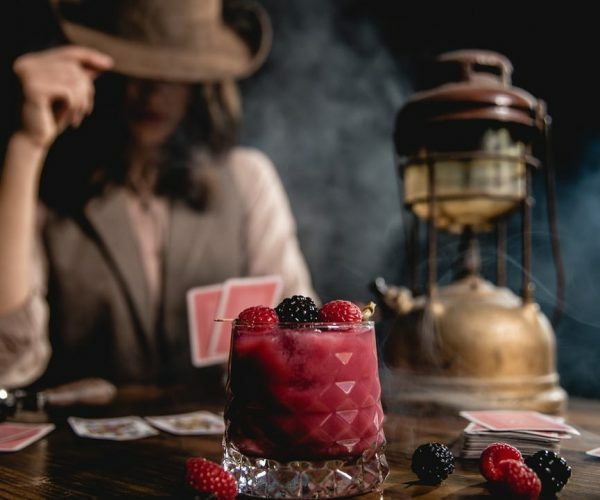 Your Moonshine Saloon experience will last 1 hour 45 minutes before a bang of a finish and quick, out, before the sheriff comes… Those who manage to escape the law as a moonshiner in the saloon can move on up to the General Store to finish their cocktails before leaving the Wild West.